out for a drive today with owen and had to stop on the side of the road so he could pee. 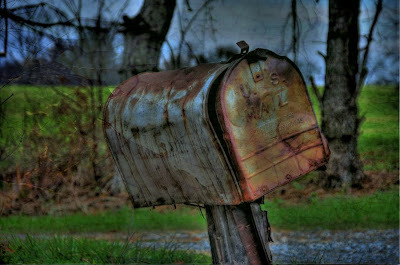 i saw this great old mailbox. the weathered look of it was so intense. i wonder how long it's been there.